My practice provides a secure, private and therapeutic space where difficulties can be examined, understood and worked through. New perspectives and ways of thinking are discovered which usually bring with them lasting change. Psychodynamic thinking recognizes links between the past and the present, and how our experiences today are influenced by our experiences in the past. It is often the case that the difficulties that lead an individual or couple to seek counselling / psychotherapy are driven by issues that they are not consciously aware of. By increasing our awareness of what might be happening for us, and what might be creating our problems, we can begin to identify new ways of relating and new ways of living in the world. 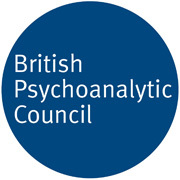 People seeking psychodynamic counselling or psychotherapy usually have a natural curiosity about what is happening to them, and a desire to understand and make sense of their symptoms, difficulties, experiences & behaviours. It is also the case that individuals and couples seeking therapy are usually aware of a psychological or emotional element to their problems and this in itself is often a major factor in their motivation to change.